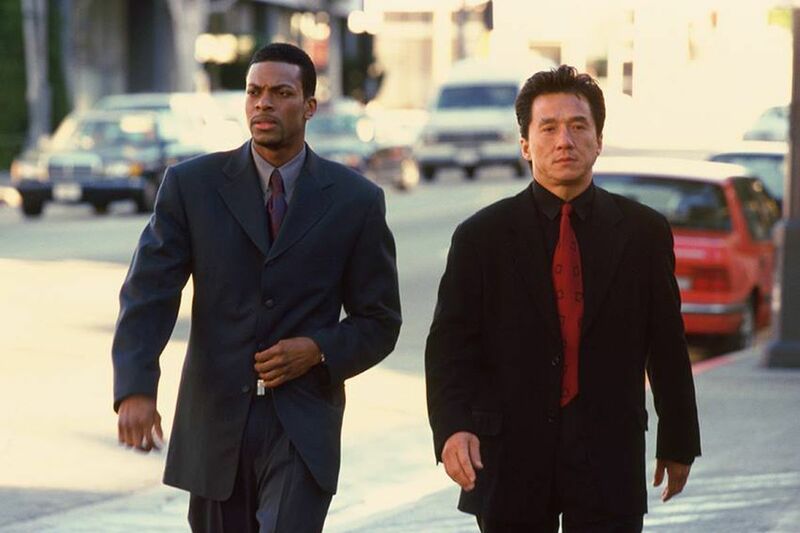 20 years ago this month Chris Tucker, Jackie Chan, and for better or for worse, Brett Ratner were launched into the world of international super-stardom following the blockbuster reception of Rush Hour. Before you jump down my throat, I’m fully aware that Jackie Chan was an international superstar long before 1998, but this is the film that made him a legit American movie star, in fact it was the first film where Chan delivered his lines in English himself, rather then having them dubbed over. It took place in New York but the spoken language was Chinese and felt like an imported Jackie Chan flick. So what elevated Rush Hour from fun summer film to action classic? Quite a bit more then you may think. While it may seem like, and is, a silly buddy-cop action movie it’s also much more than that. First and foremost, it was a major Hollywood production without a white guy in either one of the lead roles, this was the 90s #OscarsSoWhite was a LONG way away and though it was more progressive then any decade before there was still a long way to go. You wouldn’t think a film like Rush Hour would be driving edge in diversifying who gets lead roles, but it was just that. It’s really hard to tell someone you cast a white guy because that’s all audiences want when a movie lead by an African-American and Chinese man makes $141M at the box office. It may not have been their intention but by proxy or by design they proved that audiences just want a fun film, regardless of what the lead looks like. 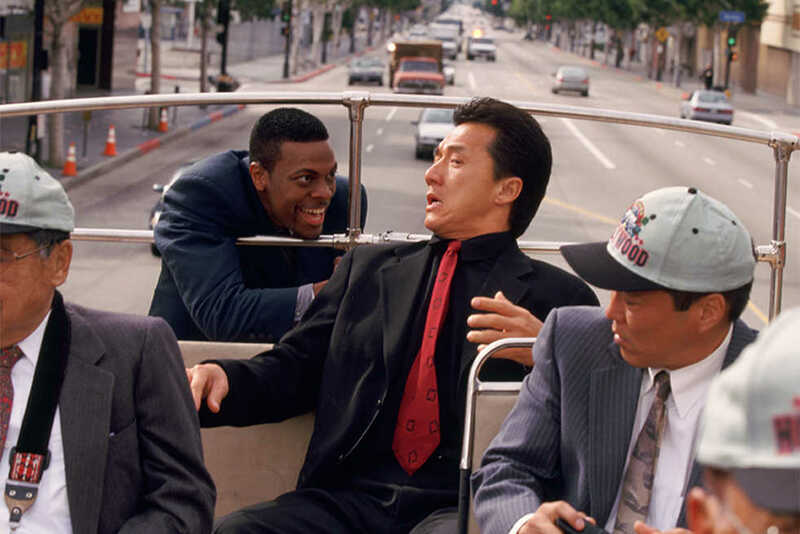 The last gift given to us by Rush Hour was the post-film blooper reel. It had been done before, for sure, but only sporadically and they were never something that made a lasting impression. Just as you are getting ready to leave the theater you’re treated to 4 minutes of the absolute funniest outtakes any movie has produced up to that point. This addition to the films credits inspired countless movies to follow suit, it was the Marvel post-credits scene of its day. From Chan’s botched stunts and missed attempts at speaking English to Tucker trying desperately to deliver the line “Who you think you got? Chelsea Clinton” It was the perfect button to an awesome film that gave us a peek behind the scenes to see how much fun they had filming the movie and how genuinely funny Jackie Chan is. 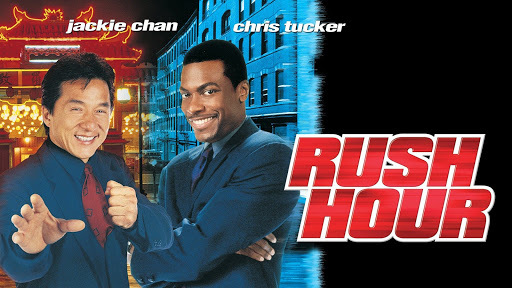 Stay to the end when Jackie Chan gets his just desserts while watching Chris Tucker fail miserably at trying to deliver one single line in Chinese.